The first names for this year's edition of Berlin Atonal have been announced with projects from over 100 artists promised across the line-up for the festival. The 2016 bill takes in a world premiere Death In Vegas show which will see a full audio-visual live performance between Richard Fearless and artist and actress Sasha Grey. The show - entitled 'Transmission' - has apparently been in the works for some time and features all new experimental material. Drew McDowall will also perform brand new material as part of a specially created A/V show entitled 'Unnatural Channel'. Imaginary Softwoods will play a rare live show while Roly Porter and Marcel Weber come together for a special show based on material from the former's recent Tri-Angle-released Third Law album. These Hidden Hands present another world premiere with their 'Aphelion' A/V project, while Raime return to play material set to be released on Blackest Ever Black. Silent Servant and New York-via-Berlin artist Phase Fatale come together for another first-time live collaboration. "Fusing post-punk to darker, harder and industrial-influenced techno, this new live project combines rigid drumming, cold synths and bleak samples - the image of future war," promises a press release. 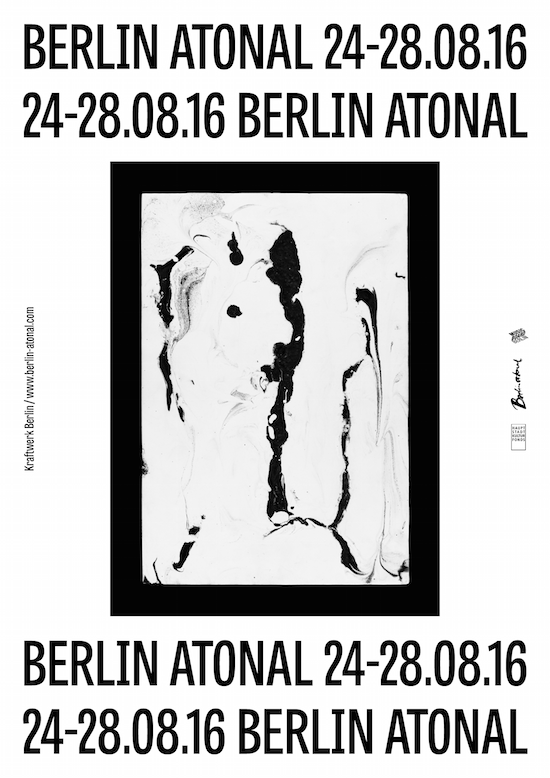 Berlin Atonal takes place at Kraftwerk Berlin for its fourth edition from August 24-28. For more information and to get tickets, click here.